Short description: In case you are searching for a super quick and powerful website,TemplateMonster is just the right place. 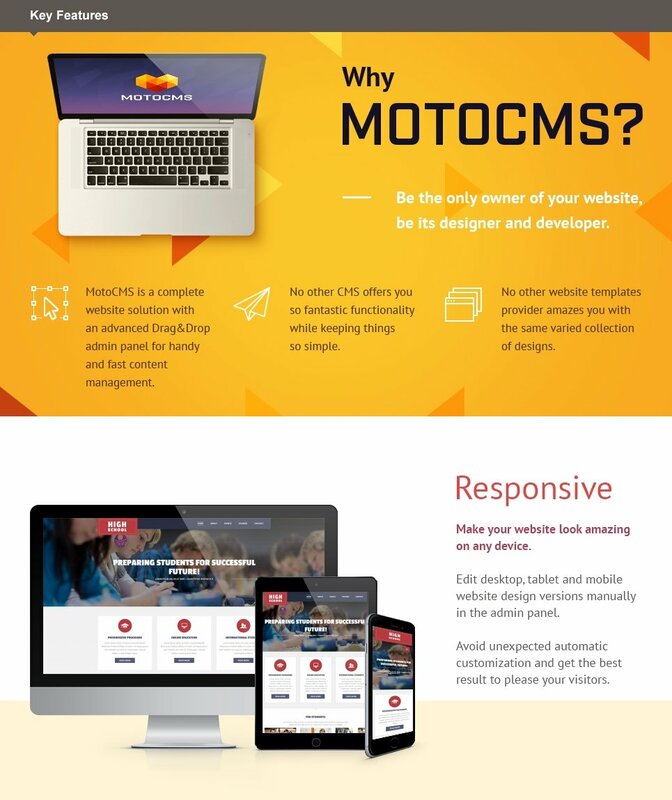 Premium High School Responsive Moto CMS 3 Template will help you build an educational or writing website keeping in mind all your professional requirements. Simple and immediate installation helps you think about the importance of your content first. You can modify the content with ease without any help, no programming skills are needed. Give your website a truly remarkable appearance on any digital display with the responsive design and cross-browser features. Strong visual effects make your text and imagery easy and pleasant to grasp. 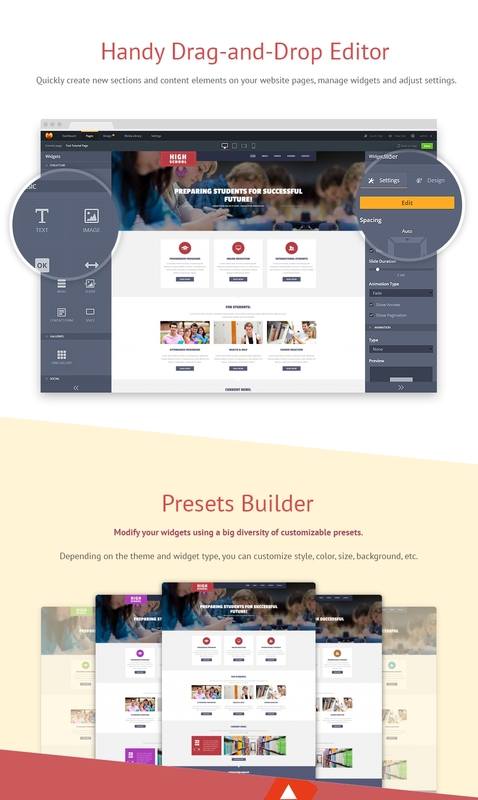 This High School Responsive Moto CMS 3 Theme lets you use a wide range of ready-made pages and stock photos. Comprehensive and easy navigation, complemented with neat product presentation, will help you attract your customers' attention providing them with a quality user experience. In case you are not sure so far, you can opt for a free 14-day trial.Set your website with confidence using high school website builder. All of the demo changes are saved, so you don't have to start editing from scratch if you buy a template.